I am Uranishi, an assistant prof. of IMD lab. During the last week, I was at the 10th IEEE International Symposium on Mixed and Augmented Reality (ISMAR2011) in Basel, Switzerland. 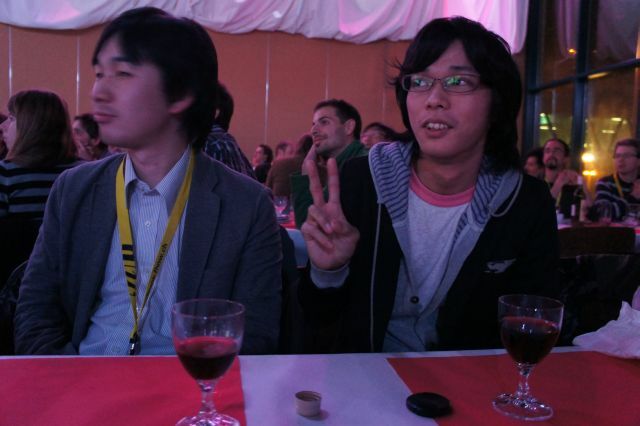 Kato sensei, Yamamoto sensei and Oikawa san were also attending the conference from the IMD lab. Switzerland is not so far from Oulu. It takes only 3-4 hours from Oulu to Basel (not including connecting time). 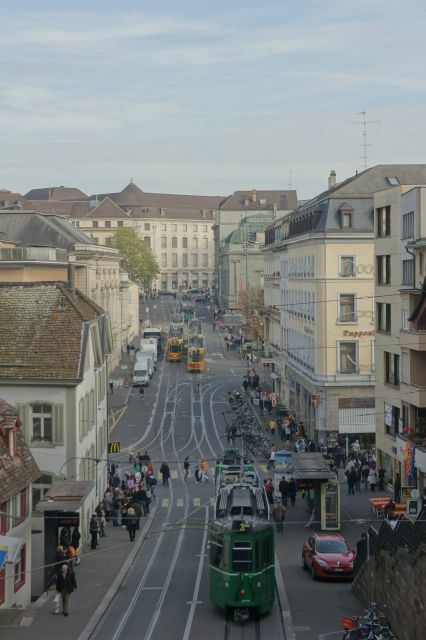 Intracity transportation in Switzerland is well orgernized so I could use trams or buses wherever I went. 3. 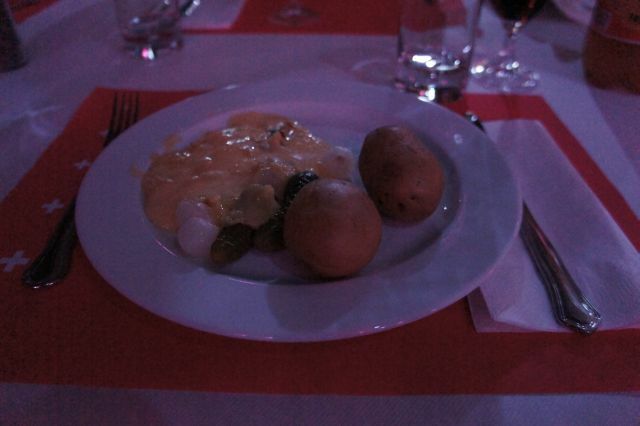 Then you get 5days-mobile data communication with 20 CHF. 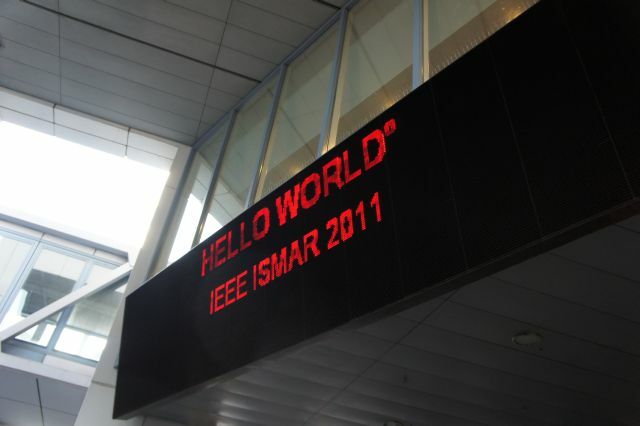 ISMAR2011 had several events. There are two lines in the main conference: “Science and Technology” and “Arts, Media & Humanities”, and workshops and tutorals were held in addition to the above lines. I made a presentation of my work in Finland at the satellite workshop on Visualization in Mixed Reality Environments. 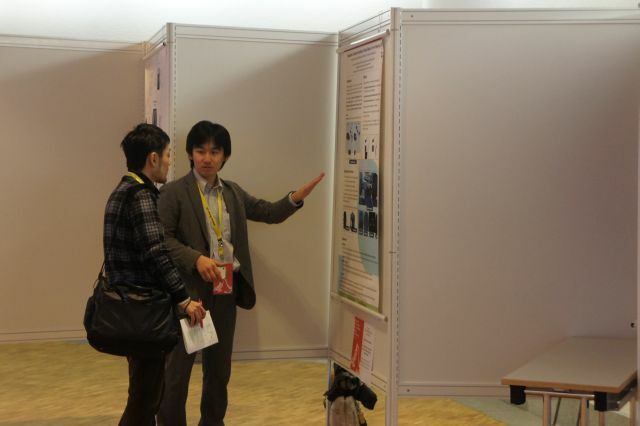 Oikawa san also made a presentetion about her work at the workshop on TrakMark, and Yamamoto sensei did at the S&T poster session. 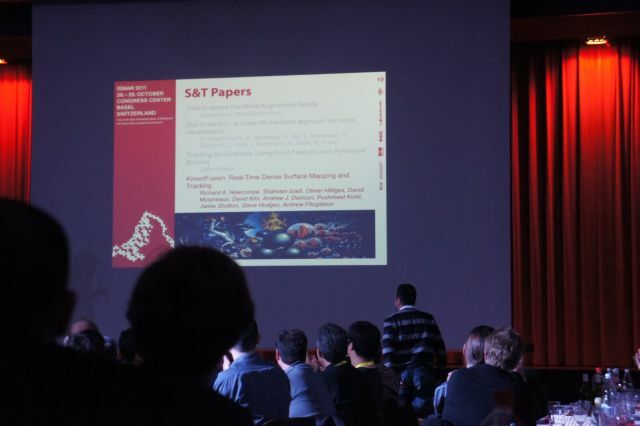 The best paper of S&T was “KinectFusion”. It was “interesting”. I met many Japanese colleagues in Basel. And, amazingly, I met Jaakko at Helsinki airport on the way. 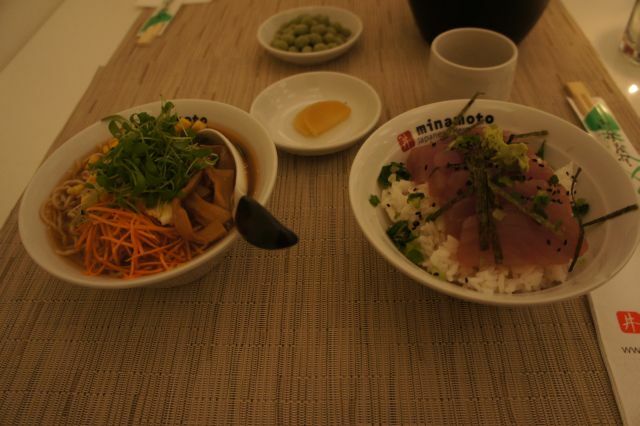 This is because I really miss Japanese foods. 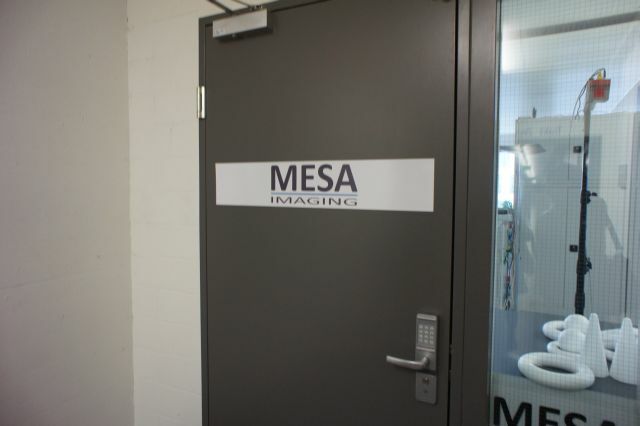 I and Yamamoto sensei visited MesaImaging, the manufacturer of SwissRanger. The SwissRanger is one of famous Time-of-Flight range image sensor. We had presentations about our researces, and fruitful discussions. This entry was posted in Uncategorized on November 3, 2011 by .